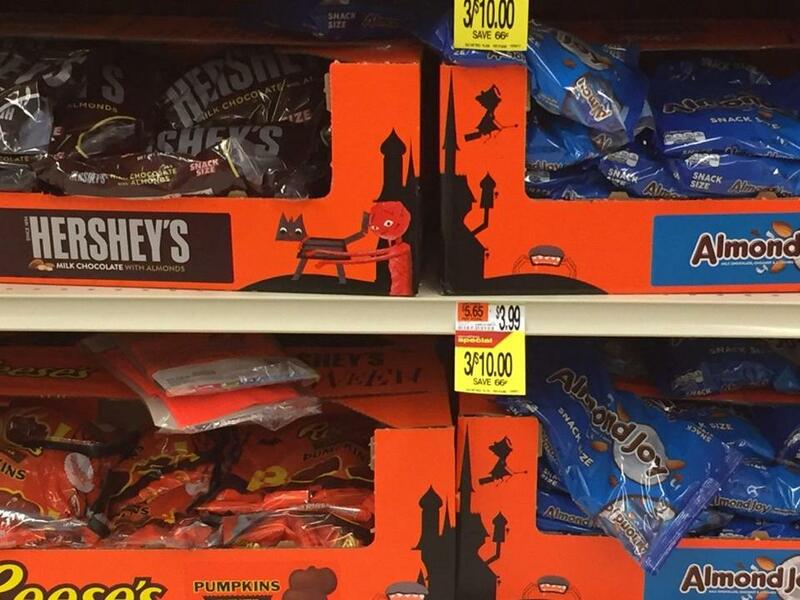 Halloween candy is already appearing on some supermarket shelves around Boston -- in July. The cool and damp weather that hit the area this week isn’t the only thing that has people feeling like fall has arrived ahead of schedule. In stores across the region, Halloween-themed candy has already started to appear on shelves, and the spooky sight has some people — who say it’s far too soon to promote the fun-size treats — collectively shaking their heads. Mike Mazzaferro, a Watertown resident, said he was taken aback by a display of black-and-orange Kit Kat bars and large bags of candy corn during a recent summer trip to a supermarket in Plymouth. When he asked a clerk why the candy was already out, the employee told Mazzaferro that it was “harvest candy,” and not necessarily just for Halloween, he said. Others have reported seeing pumpkin-shaped peanut butter cups and bags of color-coordinated candy corn for sale in Somerville and Mansfield. Ryan Lee said orange boxes with pictures of castles, witches, and black cats were stacked at a supermarket in East Boston that he recently visited. Inside the boxes were plastic bags overflowing with miniature Hershey’s chocolate bars and Almond Joys. Philip Tracey, a spokesman for Stop & Shop, said the candy in their stores is a “minimal product offering” ahead of a bigger push that typically takes place near Halloween. Still, some customers aren’t quite ready for the candy’s arrival.